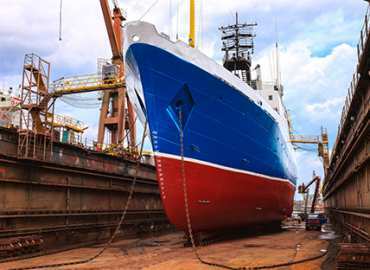 Without industry-specific knowledge and insight, projects involving industrial/warehouse space, office buildings, shopping malls, residential and mixed-use projects, port facilities, health care facilities and higher education projects can falter and stumble into unnecessary complications. 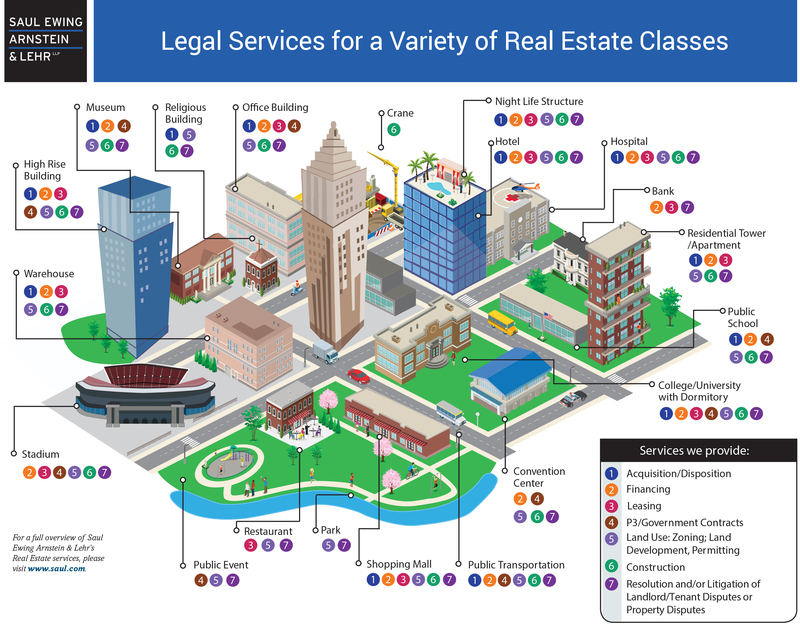 Pragmatic, experienced and comprehensive counsel can help you navigate these complexities to realize your real estate vision. 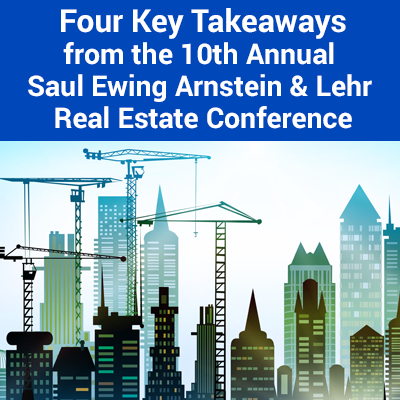 Saul Ewing Arnstein & Lehr’s Real Estate Practice works in concert with our firm’s multi-disciplinary resources to provide a complete range of legal services that can fully address the unique needs and challenges that arise at every stage of a real estate project. Our practice involves the local, regional and national representation of developers, owners/investors, property managers, lenders and others. From acquisition to development or redevelopment to leasing or sale; from obtaining favorable government incentives, zoning, and approvals to ensuring ongoing compliance; and from financing to construction to management, our integrated legal representation guides and protects clients through all phases of a project. We focus on the big picture while never losing sight of the smallest details. We marshal the resources necessary to counsel on large-scale projects involving multiple properties, complicated financing and regulatory issues while leveraging our deep understanding of the local concerns that can contribute to the success or stand in the way of a real estate venture. Saul Ewing Arnstein & Lehr has a deep history of counseling clients on innovative and successful real estate projects. 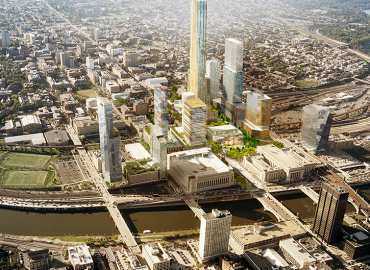 We have spearheaded numerous landmark real estate development transactions, such as waterfront and urban revitalization, convention centers and sports arenas, innovative office space, and the robust expansion of higher education and healthcare facilities. Our attorneys have appeared before hundreds of zoning and planning authorities, and have helped clients negotiate projects with sophisticated structures and delicate environmental considerations. To keep projects moving forward, we have helped lenders and debtors work out settlements and have dealt with construction disputes. We also have written and proposed ordinances tailored to meet the creative nuances of complex mixed-use development projects and we have coordinated multi-state transactions for the disposition or acquisition of multiple properties in a single transaction. To be considered for Fellowship in the American College of Mortgage Attorneys, a qualified lawyer must be nominated by an ACMA Fellow and must meet rigorous criteria.